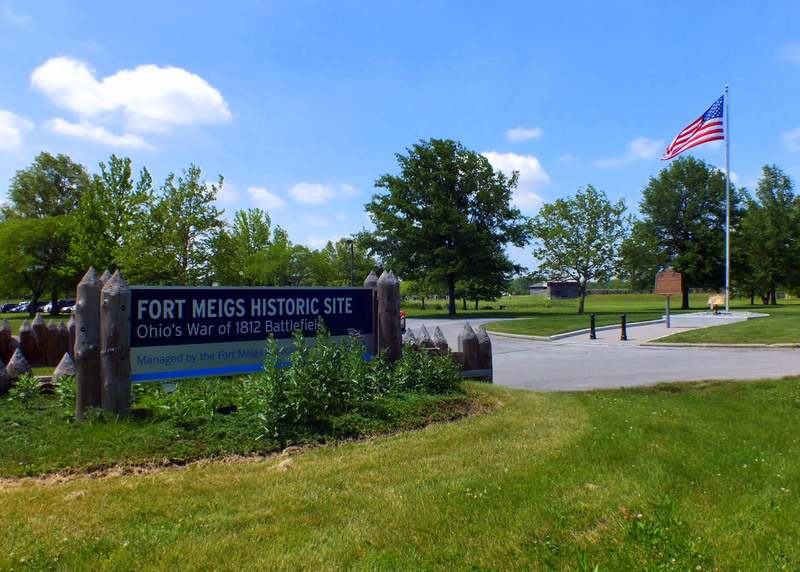 In early 1813, American troops and militiamen under General William Henry Harrison built Fort Meigs on the Maumee River to protect Ohio from attacks by the British and Indians. 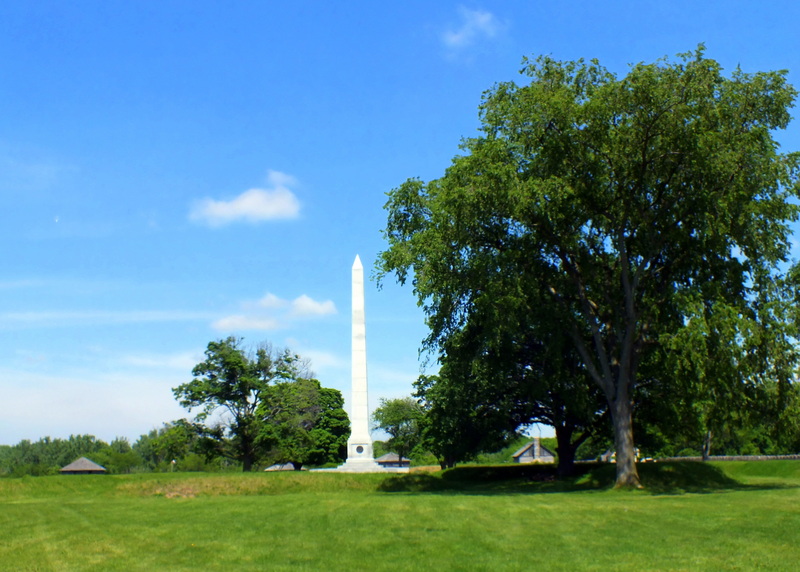 The enemy attacked on May 1, besieging the fort and bombarding it from across the river. 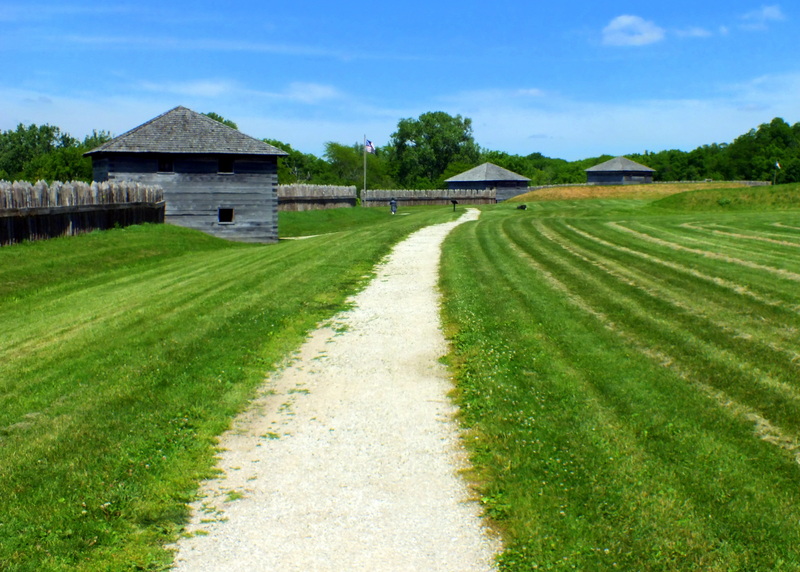 The siege lasted for five days until 1,200 reinforcements arrived. 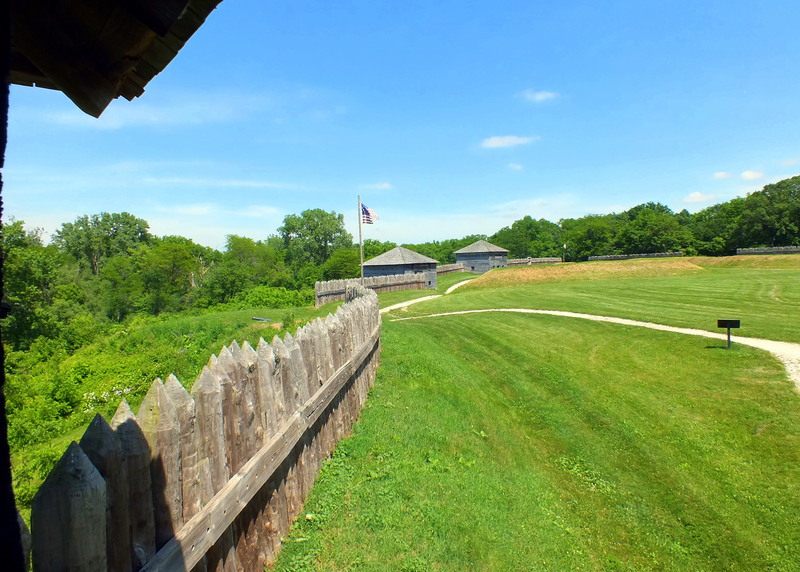 An American force crossed the river and attacked the British guns, but instead of securing their gains and returning to the fort, they chased the retreating British and Indians through the woods where they were counter-attacked. 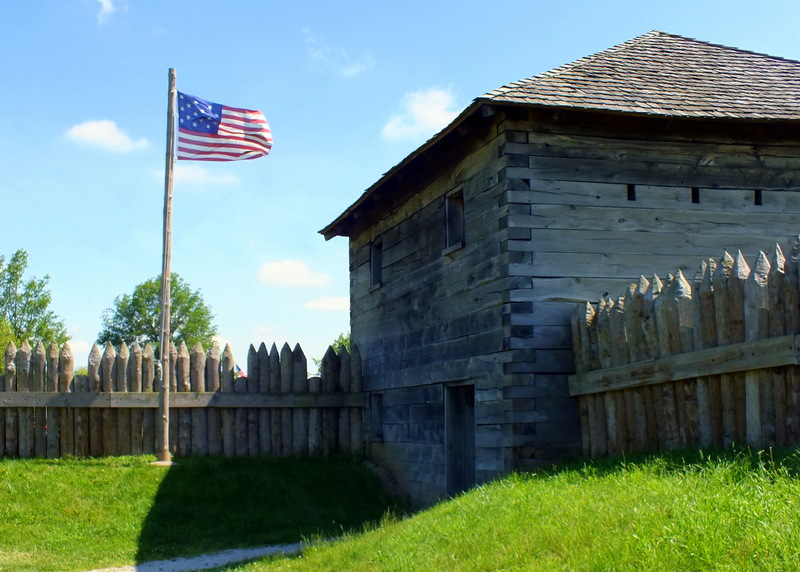 Many Americans were killed, but the fort held. 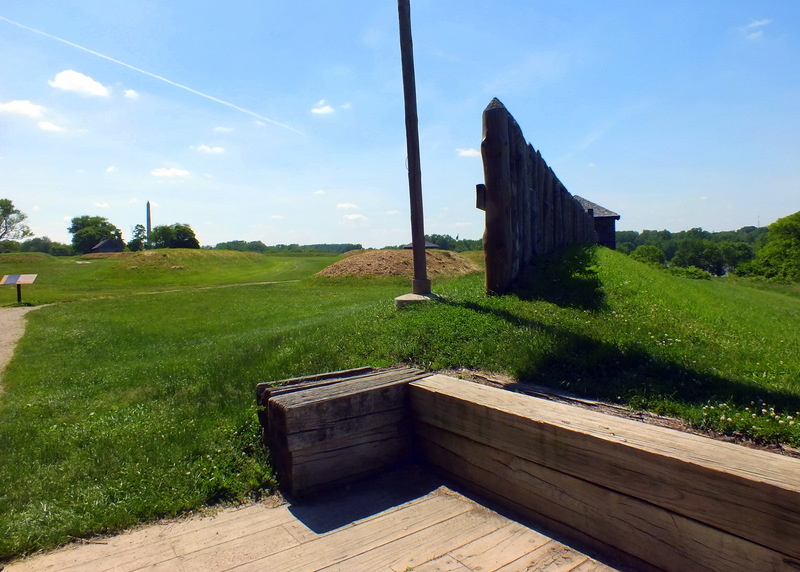 The Indians got bored and left and the British lifted the siege. 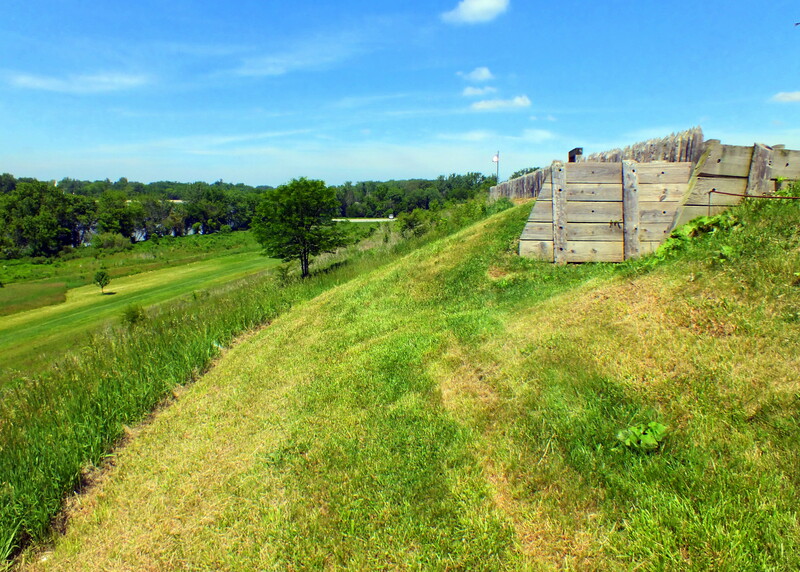 Two months later, in July, the enemy attempted to take the fort again. 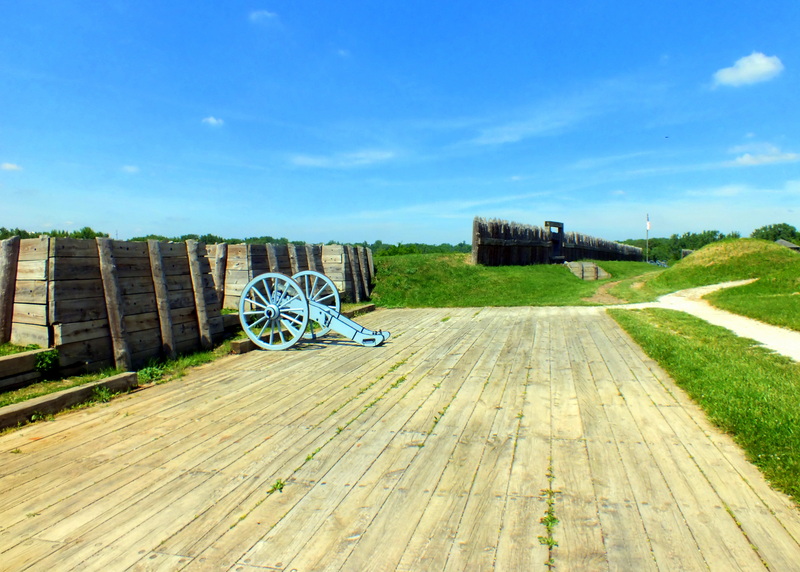 They had no artillery this time, so they tried to fool the Americans into thinking a battle was taking place nearby to lure them out of the fort. It didn’t work. The British and Indians gave up again. 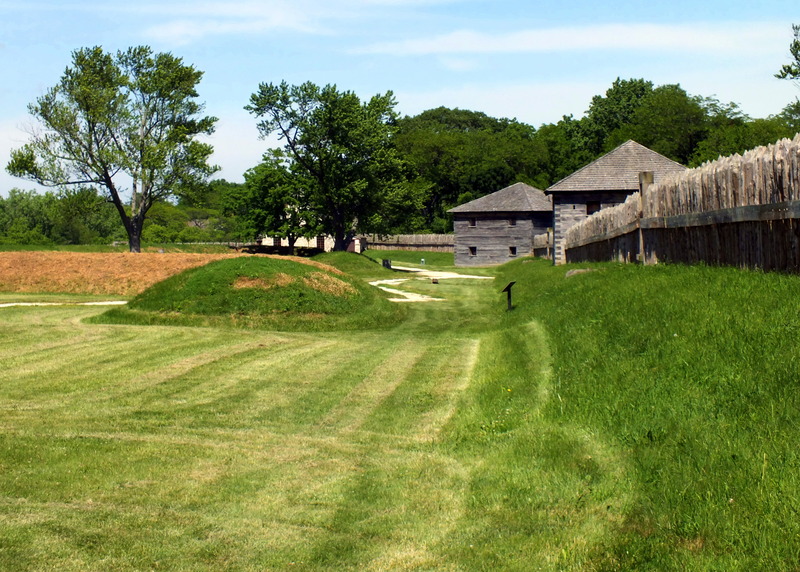 The Americans tore down the large fort and built a smaller one on the site as a supply base. They then went on the offensive and pursued the enemy into Canada. 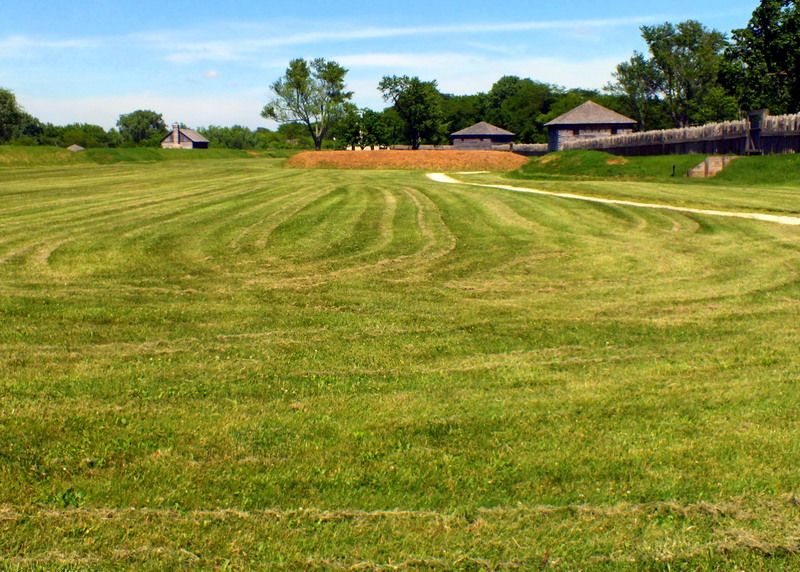 The fort was abandoned after the war and not rebuilt until the 1970s. 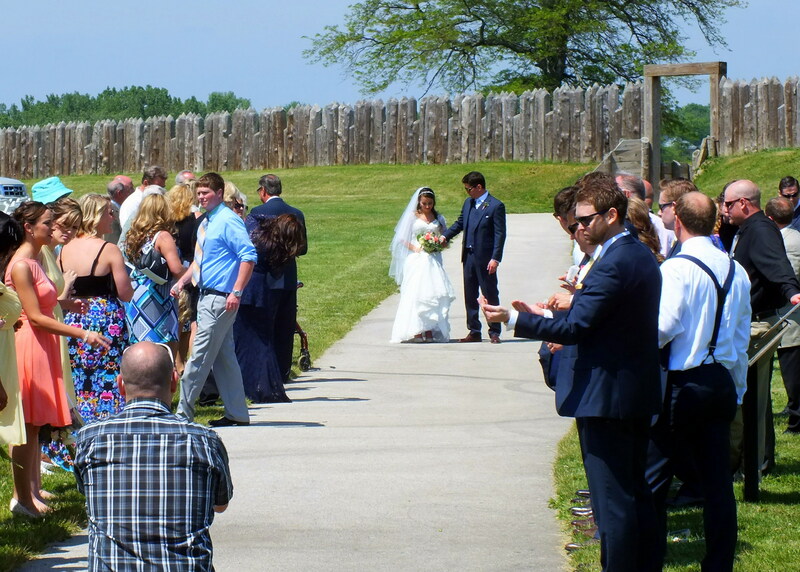 We toured the visitor center and then ran a gauntlet of wedding guests to get to the fort. 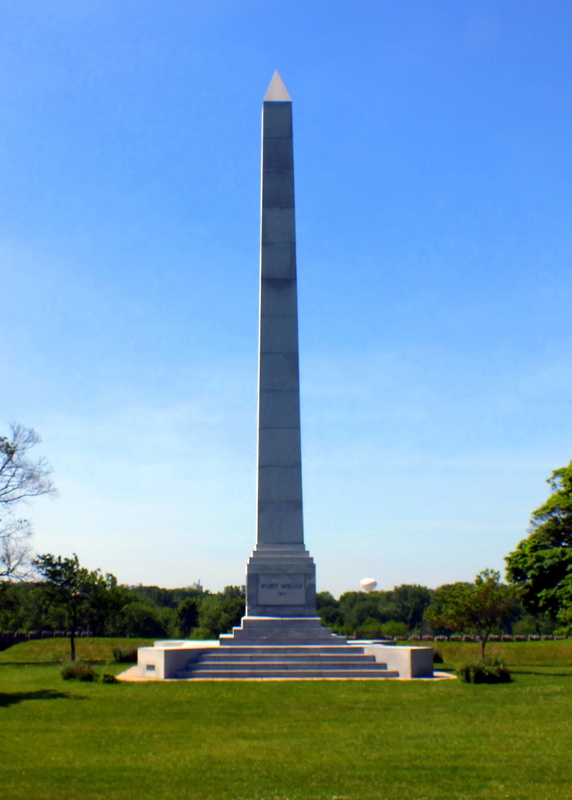 The monument was erected in 1908. 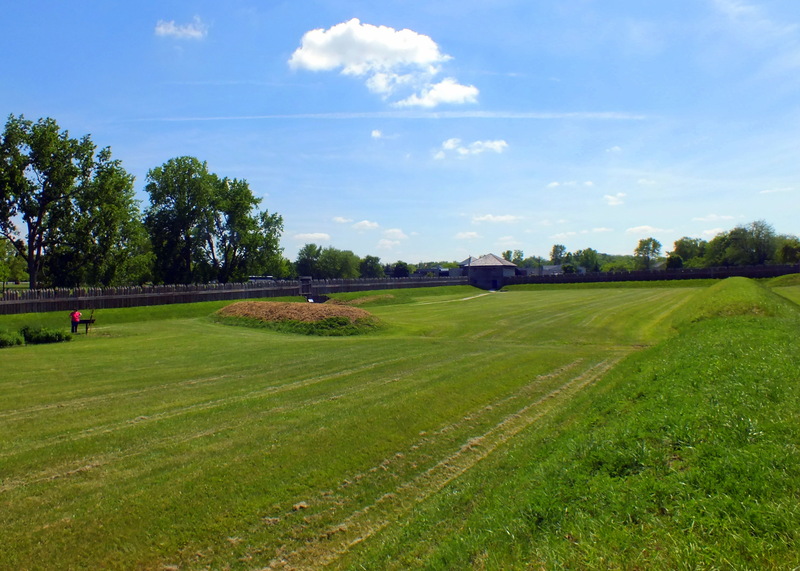 The 10-acre interior is criss-crossed with traverses, built originally to keep cannonballs and artillery shells from bouncing across the grounds. 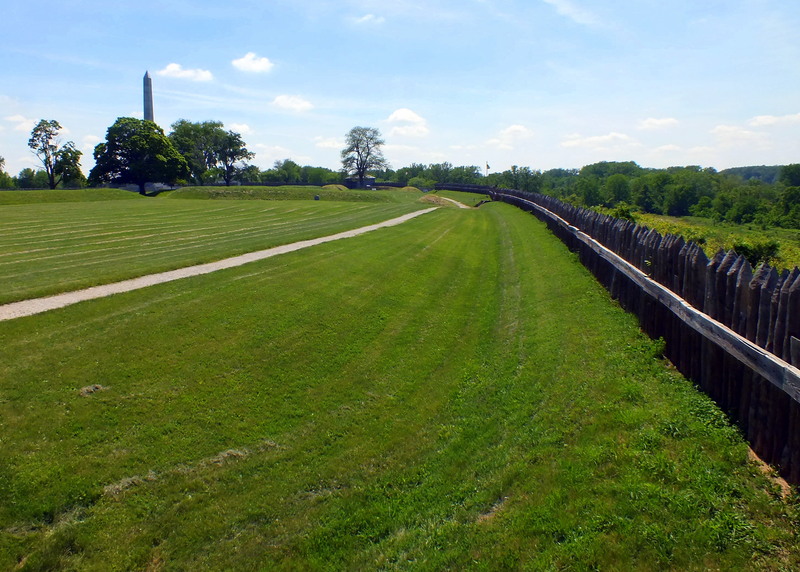 The longest one (seen in the photo below), called the Grand Traverse, is the only part of the original fort still in existence, although it’s a lot lower than its previous 14-foot height. 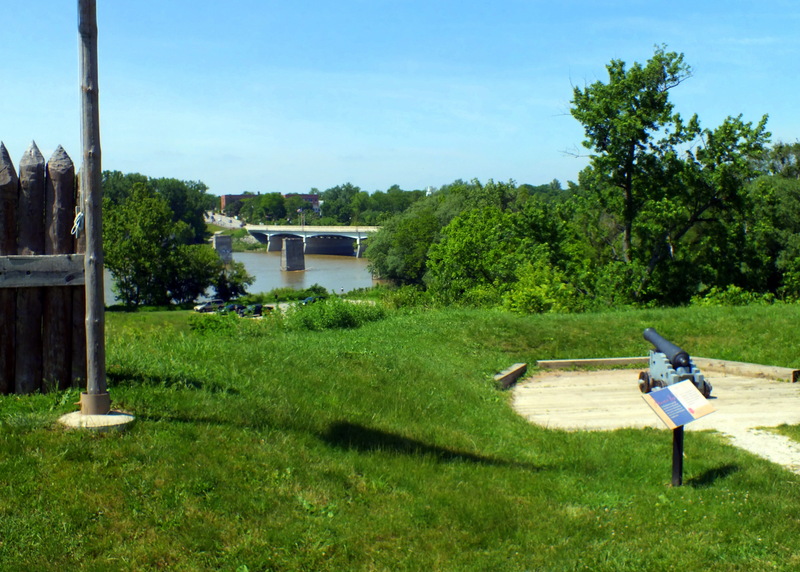 The Grand Battery, overlooking the Maumee River. 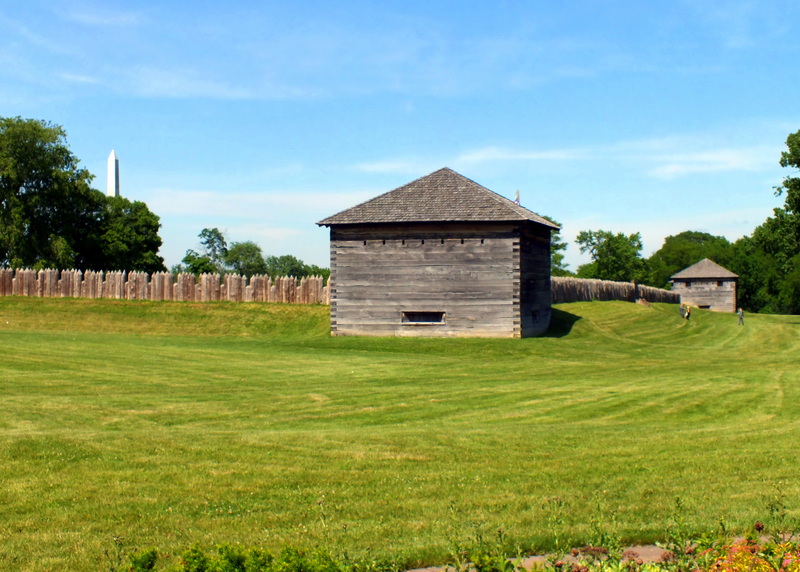 One of the blockhouses was set up as it would have looked in 1813. A guy in a uniform was there to tell us about the life of soldiers and their equipment. He was friendly, but uncomfortable when I asked questions outside the bounds of his spiel. 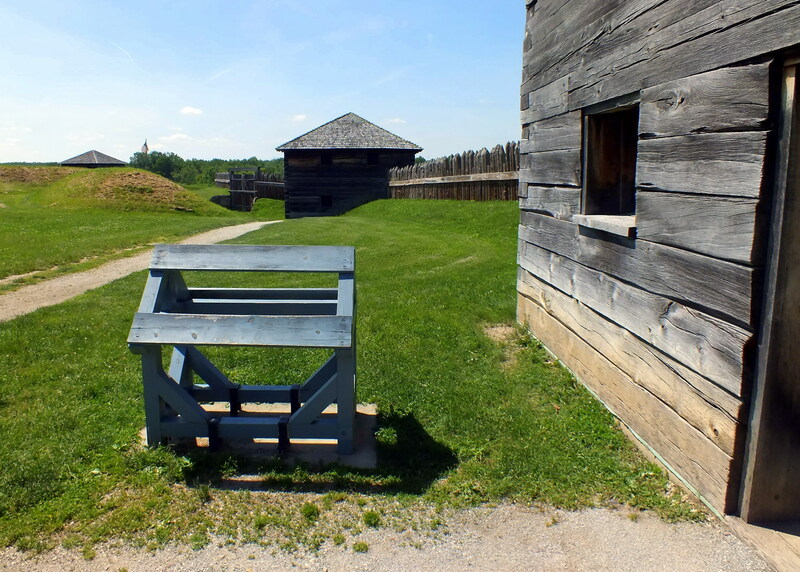 This blockhouse had a display on soldiers’ living quarters. 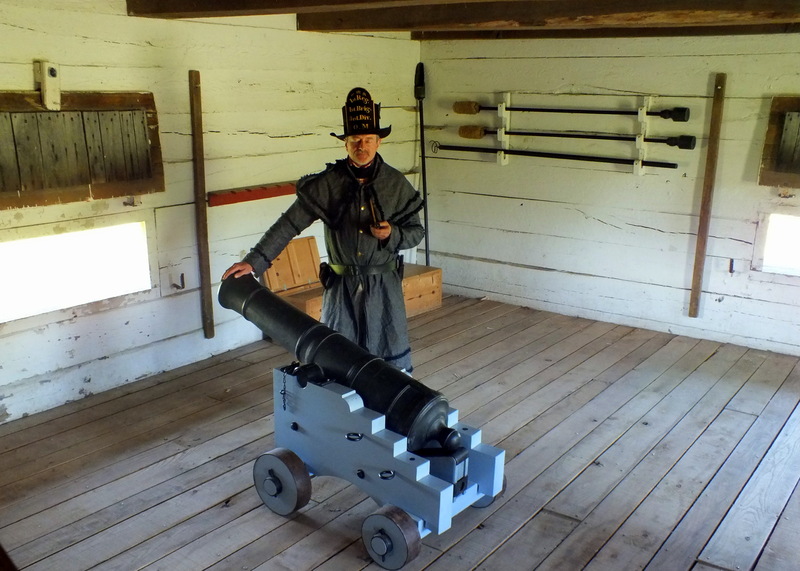 The item in front was a punishment device. Offenders were made to straddle it for a period of time. 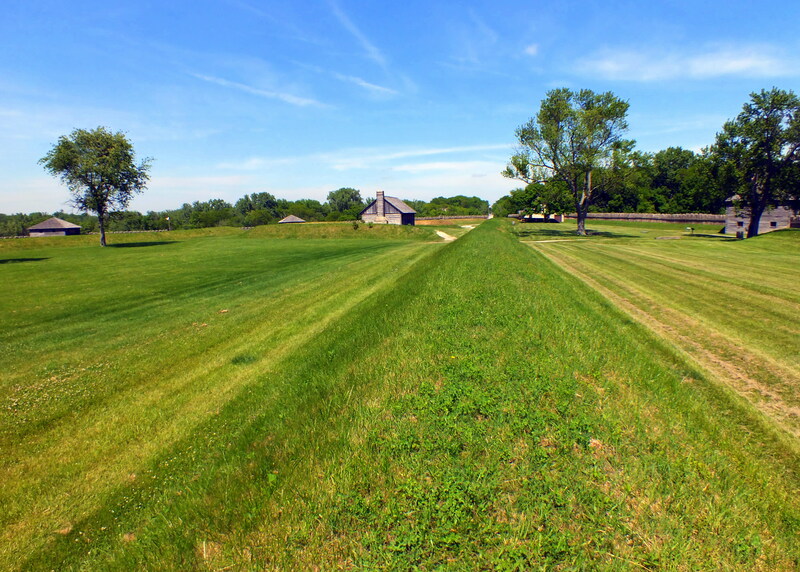 This entry was posted in Forts. Bookmark the permalink.